The La Cafetiere Pisa cafetière is another stylish addition to their classic brewing range. This new addition features a modern design with a chic copper finish. If you’re looking to up your coffee brewing game and make a fashionable statement in your kitchen, this is the essential device you need. With a gorgeous French style shape, this cafetiere is made with heat resistant glass for added durability. 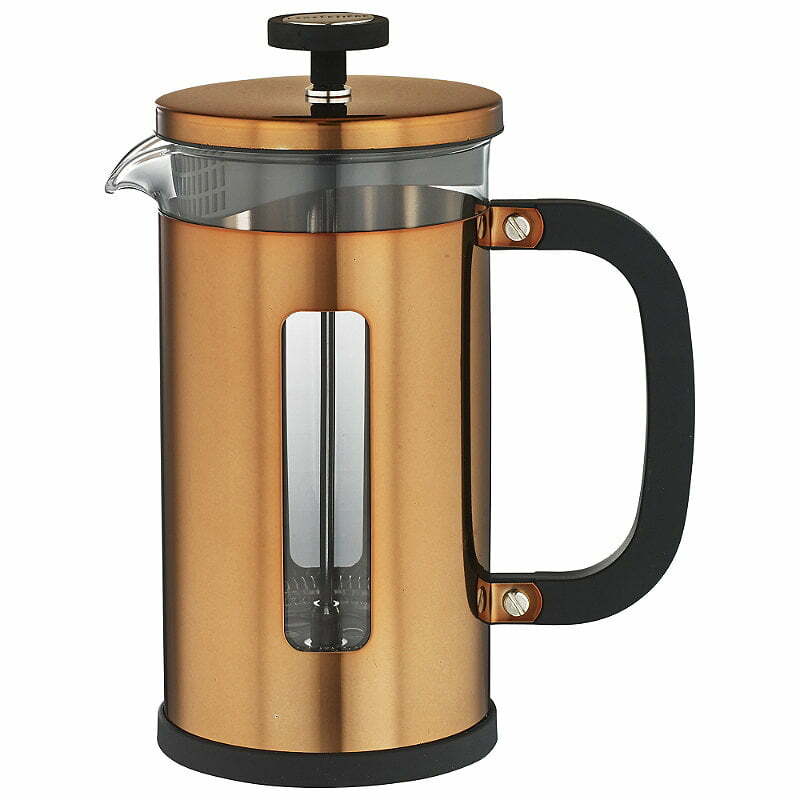 The outside is copper coated with a soft touch handle and plunge for better ease of use. The thin, mesh plunger is exceptional at filtering coffee, perfect for all coffee lovers. La Cafetiere continuously manage to perfect the balance between functionality and design, offering products that are a must have for those serious about coffee. The unique copper case around the cafetière offers an eye-catching look whilst also adding to the warmth of your drink. The designers at the company made sure to include a transparent window so that you can see exactly how much coffee is left when relaxing with your delicious beverage. Rinse out the cafetière with hot water to make sure it is dirt and dust free. This also preheats the device which keeps your drink hotter for loner (this is an optional step). Add in the grounds (use a guide of one scoop per mug). Boil your kettle and wait a minute or two for it to cool down. Using boiling water may over extract the grounds and pull out the bitterness. Pour the hot water slowly over the grounds in circular motions to extract all the flavours. Leave to steep for around 3 and a half minutes and place the plunger on the surface. Once brewed press down the plunger, serve and enjoy. Read our guide to cafetieres for more advice on brewing, grind size and steep time. How much coffee do I use in La Cafetiere 8 and 3 cup? 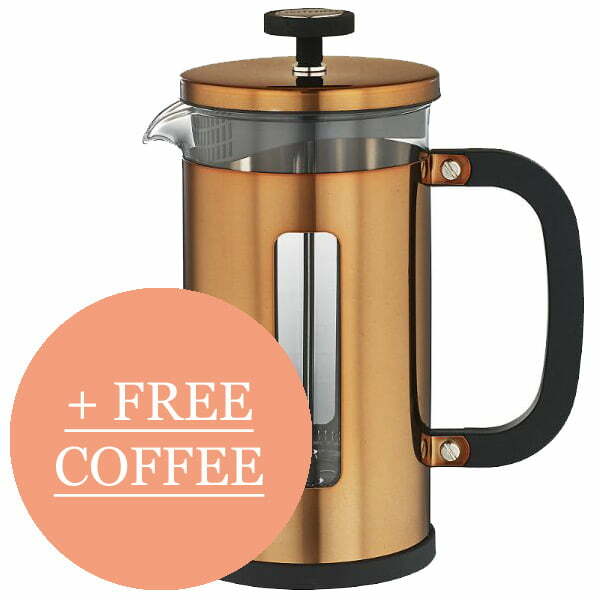 The La Cafetiere Origins Pisa Copper Cafetiere would be greatly appreciated as a gift by any coffee lover. Whether it’s Christmas, a birthday, anniversary or any other special event, this would be a gift to remember that they could use in everyday life. It is a sophisticated design, so it feels like a real treat with every use. Pair it with some fresh coffee for a brilliant present that will put a smile on their face.